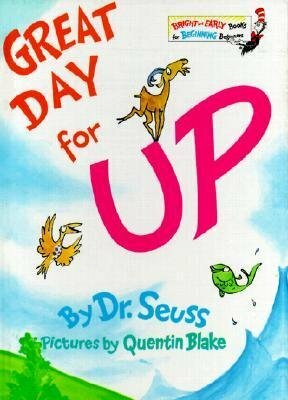 Last week I finally got around to doing my In, Out, Up, Down & All Around storytime! I have to admit that I was a little nervous about this one, but it turned out much better than I expected. 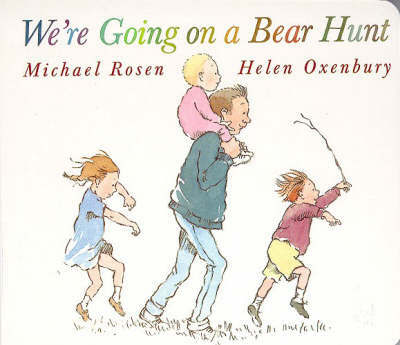 Even though I know that this one is a storytime classic, it was still the first time that I had read it for storytime, and I was unsure of whether it would work or not. It’s such a simple story, but the children really got into it. One little girl even got wide-eyed and covered her mouth when they tip toed into the cave. 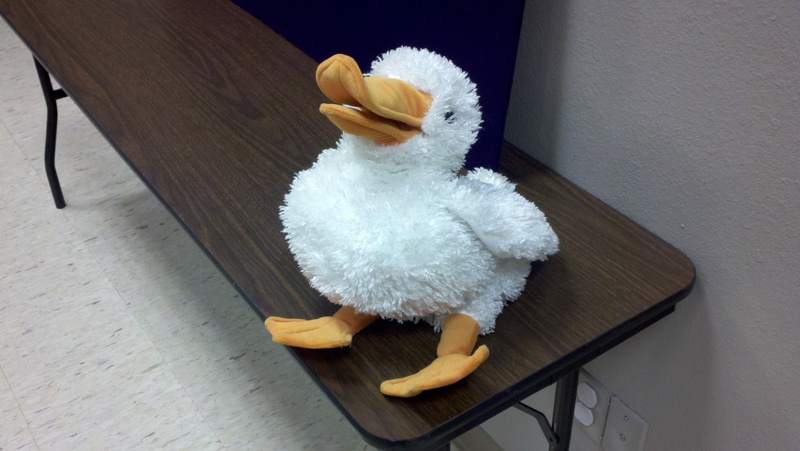 While I was reading, Quacky demonstrated ‘over’ and ‘under’ by leaping up or ducking under. After we read the story, I had the children help me retell it by using the flannelboard. We started out at home, and I asked the children where the characters of the story went next. I gave them clues such as “It’s green, and wavy, and it rhymes with sass!” After the children guessed where they went next, we would march, swim, stomp and tip toe to the next destination. I wasn’t sure how this one would work in storytime since it’s so interactive, but it was by far the biggest hit. My Tuesday group was small enough that we really didn’t have a problem with the kids coming up to tap and press and blow (I shook and tilted the book when required). My Wednesday group was huge, so before we started reading, I talked about turn taking. 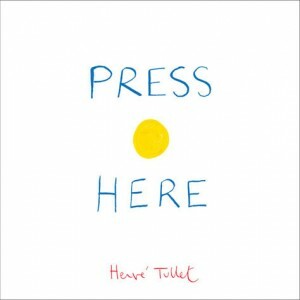 And as we were reading, I would remind kids to step aside after they had a turn so that others could have a chance to tap, press and blow. It worked really well. The kids loved it and an adult requested the book to check out after storytime. I remembered playing this when I was in preschool (it’s one of my few memories from preschool.) I had two long pieces of yarn, and I asked one of the mothers to help me by holding one side as I held the other. We put the yarn down on the floor and had the children jump over both pieces. Then we spread the two pieces wider apart and had the kids jump over it again. Then we spread the two pieces even wider and had the kids jump over again. Then we spread them very wide and had the kids jump inside the two pieces, then jump outside. Then we lifted the yarn up and had the kids crawl under. 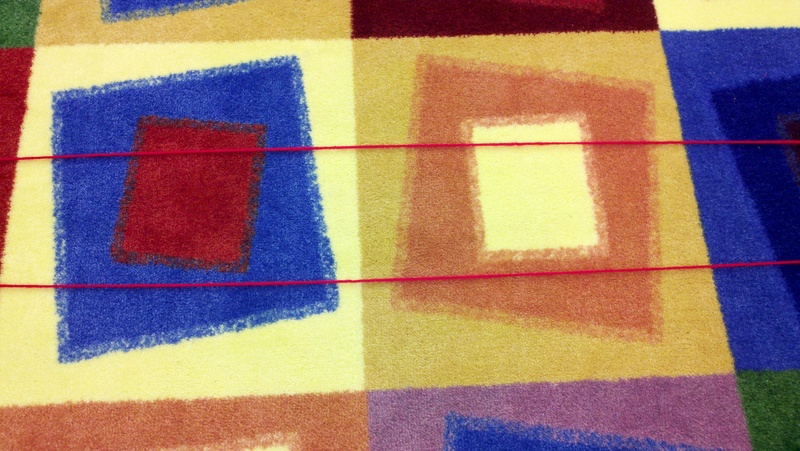 Then we lowered and had them stand on the yarn. Then some more jumping over. 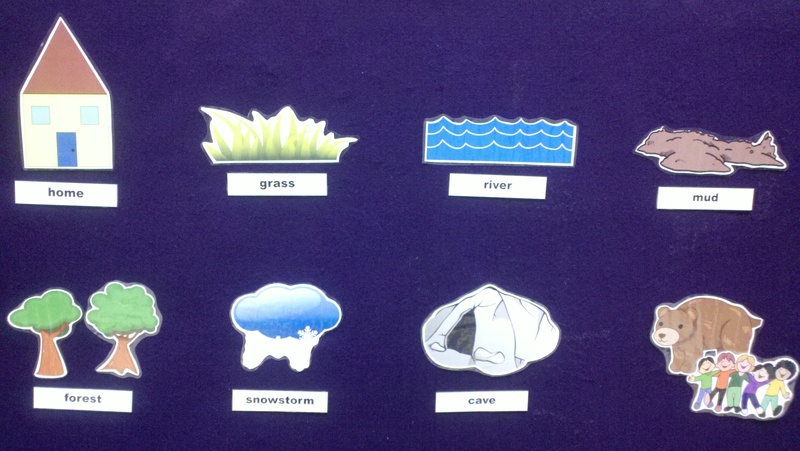 The children really liked this one, but it’s best to either have a lot of space or a small group for this one. 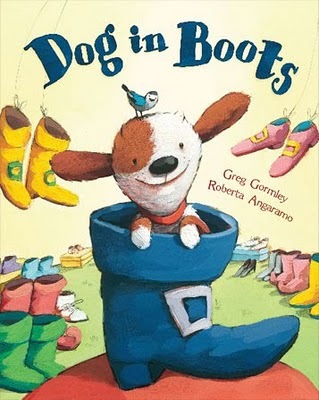 This story was about an adorable pup who reads a book about a cat who wears boots and decides that he wants to wear boots as well. However, after a series of mishaps with various footwear, the dog realizes that the best shoes for him are his own paws. This one got a lot of giggles out of both children and adults. P.S. I had thought of a lot of activities for this theme, but didn’t have enough time to do all of them. The things that got cut from the actual storytime include The Noble Duke of York and having the children play a short game of pick up sticks with their grown-ups.